What do Elon Musk, Warren Buffet, Marissa Mayer, and Bill Gates all have in common outside of being wildly successful? They are all introverts. In today's fast-paced, unstable workplace achieving success requires speaking up, promoting oneself and one's ideas, and taking initiative. Extroverts, fearless in tooting their own horns, naturally thrive in this environment, but introverts often stumble. If you question your ability to perform and succeed in this extroverted work culture, The Introvert's Complete Career Guide is custom fit for you. 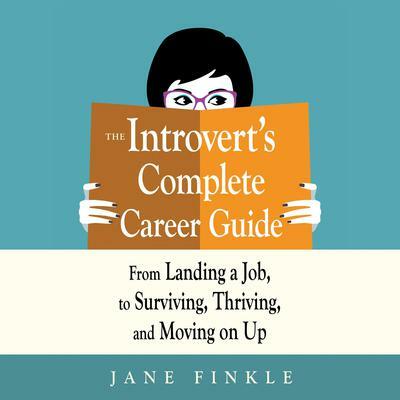 In this supportive, all-inclusive handbook, Jane Finkle demonstrates how to use your introverted qualities to their best advantage, then add a sprinkling of extraverted skills to round out a forceful combination for ultimate career success. Finkle shares the keys to navigating each stage of professional development--from self-assessment and job searching, to survival in a new position and career advancement. In The Introvert's Complete Career Guide you will learn to:Build confidence by evaluating your values, personality style, interests, and achievementsWrite the story of your career in resume and LinkedIn formatsUse social media at your own comfort level to promote your career and expand your networkExpress yourself clearly and confidently in network meetings, interviews, and workplace situationsBuild strong professional relationships with colleagues and senior leadersOvercome fears that prevent you from embracing new challengesEqually applicable to the real or virtual workplace, The Introvert's Complete Career Guide provides strategies, tools, and success stories that win you the professional respect and recognition you deserve. 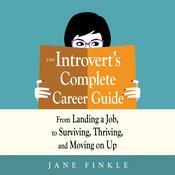 In this supportive, all-inclusive handbook, Jane Finkle demonstrates how to use your introverted qualities to their best advantage, then add a sprinkling of extraverted skills to round out a forceful combination for ultimate career success. Finkle shares the keys to navigating each stage of professional development--from self-assessment and job searching, to survival in a new position and career advancement.